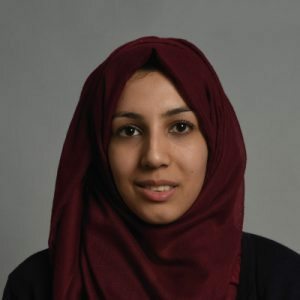 Amirah graduated in BSc Psychology in 2016, alongside university she also worked as a support worker for children with learning disabilities and complex needs. Throughout her degree she gained a passion for research, especially during her research internship. During the internship she validated the Three Factor Eating Questionnaire (R-21) for children and adolescents, which provided me with great skills, which she is able to use within Born in Bradford (BiB). Amirah started her CRA position with BiB in 2017, working for BiB has heightened her interest in postnatal depression, which is a research area that she would like to pursue with a particular focus on the south Asian community. I enjoy being out in the community collecting data as I get to meet different families and children. I also find it interesting to see how the data we collect is applied to real life. My favourite toy when I was young was ‘Badge It’, a badge making device.